For any child, incoming Level 5 or above, who would like to be confirmed next year, please plan to attend the Orientation Meeting on either Monday, August 27th, 6:30-8pm OR Thursday, August 30th, 6:30-8pm. Every session matters and is an important piece to the puzzle of preparation, so even if your child is undecided about being confirmed, please plan to attend regardless. Emails with future information will begin in July and will be sent to all incoming Level 5 and 6 families. 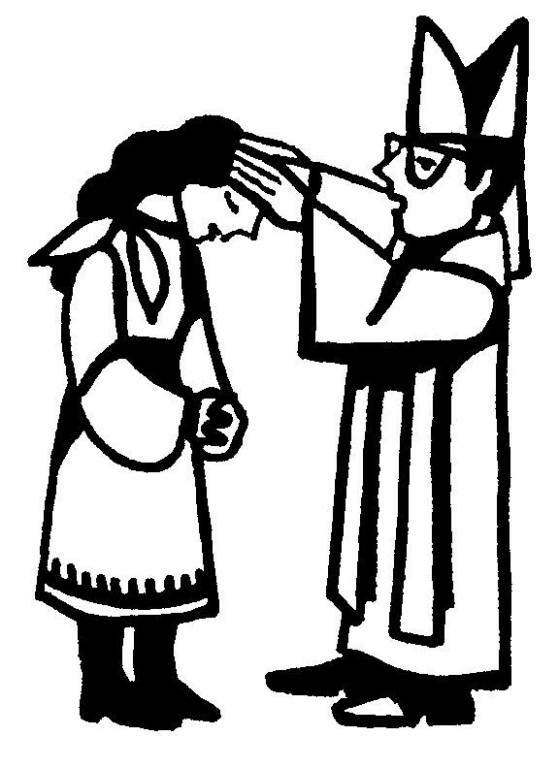 If your child is interested in Confirmation and is older than Level 6, or if they were not currently registered for this past year of Faith Formation, please be sure to email Janice Anderson so that they can be added to the contact list. Here is a neat resource to help children learn more about different saints so they can choose their Confirmation Saint. There are two sites below; one for male and one for female. You can either watch ALL the videos...or scroll down the right hand side and choose one saint to watch. Most of the videos are about 3-4 minutes long (a few are longer).